What do AHI, RERA, Arousal and RDI mean? | Advanced Sleep Medicine Services, Inc.
What do AHI, RERA, Arousal and RDI mean? What do these terms mean in a sleep study report? Which one is used by insurances to determine approval for CPAP therapy? Learn about the different type of respiratory events, how they are scored and what they mean for treatment options and insurance coverage of CPAP therapy. It’s the average number of combined apneas and hypopneas per hour. It is most often used to determine the severity of a person’s sleep apnea. An apnea is when your breathing stops for at least ten seconds while sleeping. The figure below shows how the sensors used during a sleep study measure your breathing. 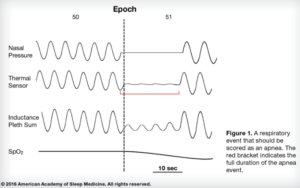 This criteria is used for scoring a sleep study. This is the part of the process where a technician reviews the data that is recorded from your overnight sleep study. Apnea: There is a drop in the signals shown above of at least 90% for at least 10 seconds. Obstructive apnea: Meets the criteria of an apnea (above) and continued or increased effort to breathe is noted (the effort is due to an obstruction of the airway, learn more here). Central apnea: An apnea with no effort to breathe made during the entire period (this is a neurological issue, learn about central sleep apnea here). Mixed apnea: An apnea with no effort to breathe in the beginning of the event followed by effort to breathe in the second part of the event. 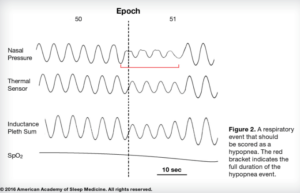 A hypopnea is a significant reduction in airflow while sleeping (not a complete stop) that causes a drop in blood oxygen saturation and then an arousal. This is your combined number of apneas, hypopneas, and RERAs per hour of sleep. Physicians who use this scale typically follow the same guidelines that are used for the apnea/hypopnea index (AHI). Medicare defines RDI as the average number of apneas and hypopneas (so it’s really the same as AHI), they do not include RERAs. Most commercial insurances refer to the AASM standards which includes apneas, hypopneas or RERAs. What is mild, moderate or severe sleep apnea? 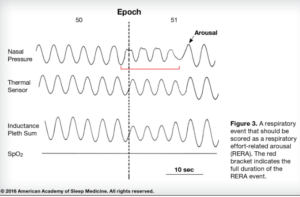 As detailed above, AHI has been the traditional measure used to determine the severity of sleep apnea; however, many institutions and insurances are looking at RERAs because any respiratory event that lasts at least 10 seconds and causes an arousal can cause damage and should be treated. The chart below lists AHI criteria but RERA should also be considered. None/Normal: Almost everyone experiences the occaisional apnea, so having less than 5 of these events per hour is considered normal and no treatment is recommended. Mild Sleep Apnea: CPAP is not usually recommended as the first option for treating mild sleep apnea. Other interventions, such as weight loss, use of positional tricks (if sleep apnea occurs primarily while sleeping supine, or on your back), improvements in sleep hygiene and oral appliances are typically recommended (learn more about CPAP alternatives here). Moderate and Severe Sleep Apnea: CPAP therapy is usually recommended. Most insurance companies will authorize payment for CPAP if your AHI is moderate to severe (learn about how CPAP therapy works to treat sleep apnea here). 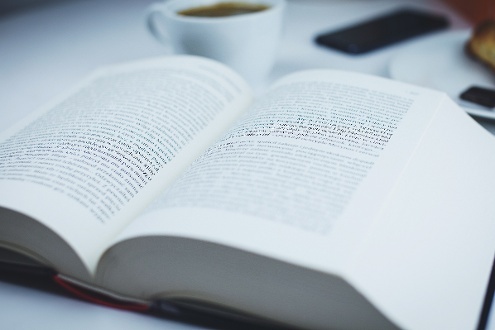 For a more in-depth look at the terms and measurements found in sleep studies, download our Guide to Understanding Sleep Study Results. Which Doctor Should I Talk to About my Sleep Problems?